It seems obvious statements that firewall is responsible for monitoring your network traffic on your PC and doesn’t allow those insecure program or virus to attack on your PC. Every data which exchanges in the devices from the network require a special door to enter into devices for interacting to user. These doors are often called ports. Once I was searching about the ports, I found there exist more than 65,000 Port, these post are defined for separating the different types of data as per the destination and its usage. Common ports are HTTP having port number 80; HTTPS having port number 443 and all. 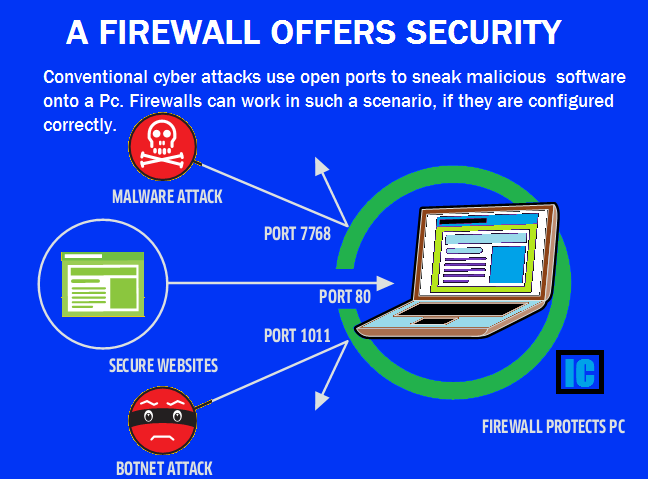 Firewall is having role here, firewall actually monitors the port, and Firewall let the specific program/port allow or disallow to communicate over the network. You can set up advance firewall setting to control these ports and maximize the feeling that you are safe. A robust and advanced set up of firewall can block/shut down almost all the other port and only allow the data to communicate through the verified ports like 80. This HTTP port let you browse the internet. If you block this port, you will not able to surf the web at all. That means your web connectivity is almost killed. And this is what firewall’s biggest failure lies. If the attacker is little expert (they always are), they’ll plan easily to get into your system by this one open port. Attacking through ports that were by mistake left open by user is not the only one way to attack on PC. There are lots of another method to inject these virus in your system via E-mail attachments, non secure download of virus and worms external drives and other internet downloads. 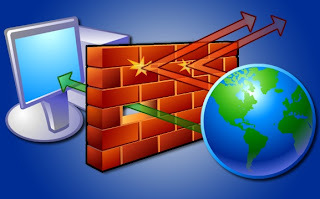 These miscellaneous code can configure firewall internally, to communicate to destination/attackers with secrete port without giving any clue to Administrator. One of the most common solutions is to turn off the Java script on the Web pages via Browser settings, but turning off the Java script will cause most of the websites not to function properly. Also website owners has to step ahead to protect their site from these miscellaneous content on their pages in any form, especially on flashes and plug-ins. You can Block unwanted plug-ins here. Else you don’t have any other option rather than trust those websites. 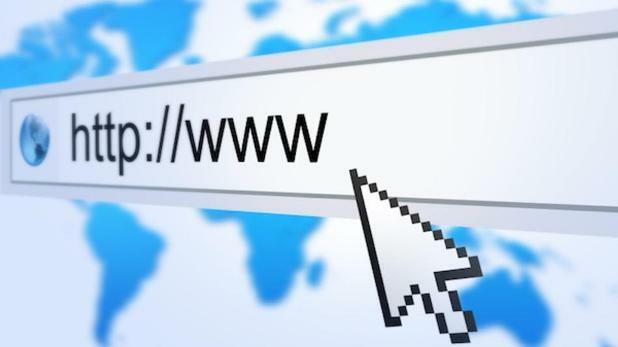 Another method is to use the updated browsers and choosing the smart browsers like Google chrome and Mozilla Firefox. With Updated anti-virus to scan every downloaded data and scanning removable media carefully can protect you up-to a certain limit. 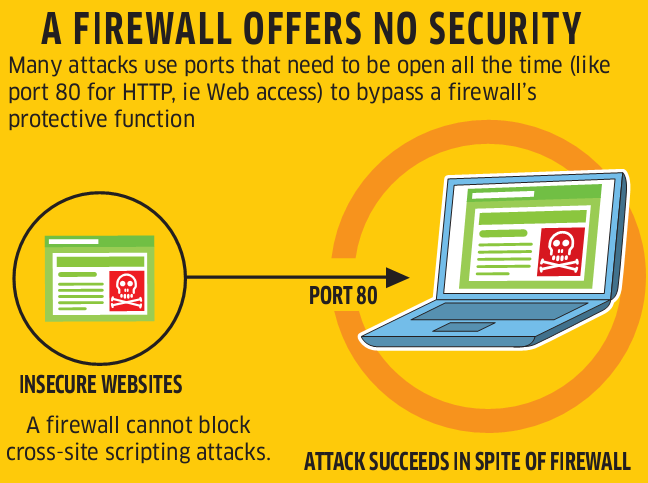 Keep checking your firewall’s ports and analyze it. 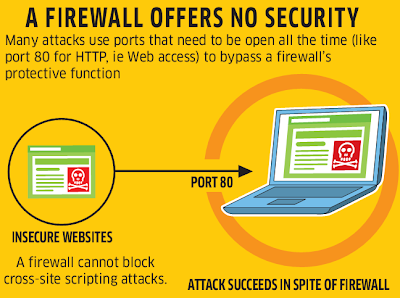 Block these firewall rules if you think it is insecure.